Place the thawed edamame into a mixing bowl, drizzle with the olive oil, then sprinkle with chili powder, basil, onion powder, cumin, paprika, and pepper. 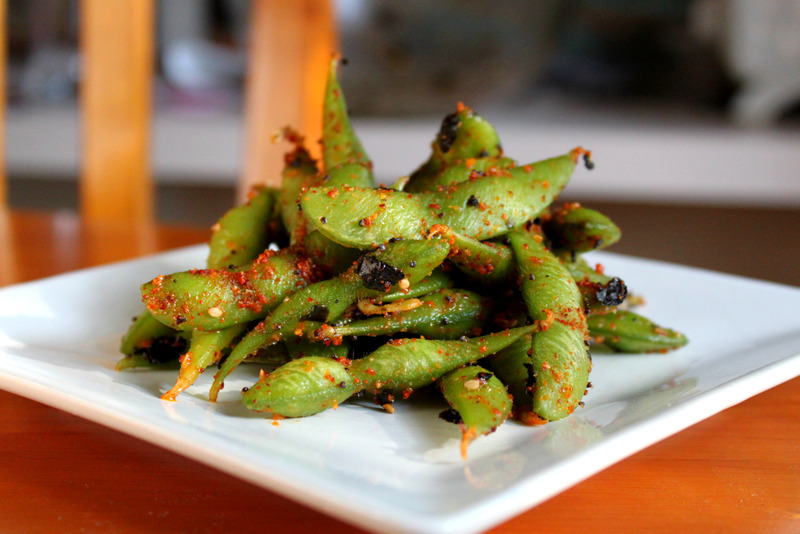 Toss until the edamame are evenly coated with the oil and spices. Spread into a 9 x 13 inch glass baking dish in a single layer. Bake uncovered in the preheated oven until the beans begin to brown, 12 to 15 minutes. Stir once halfway through cooking.